Police are now investigating after three men broke into a house in the Mayfair section of Philadelphia in the early morning hours of Sunday. The incident happened on the 4600 block of Oakmont Street at around 4 am. Five adults and three children were inside of the home when three armed men broke in. One of the men pointed a gun at one of the adults and forced him around the house where they stole multiple items, as well as making the man open up the family's safe. The men escaped out the front door, and were able to get away with jewelry, $750 cash, as well as the children's Christmas presents. Police are still investigating the robbery. 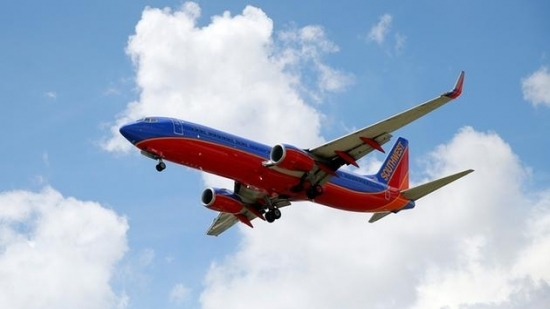 A baby was born on a Southwest Airlines flight flying from Philadelphia to Orlando. Southwest Airlines Flight 556 was diverted into Charleston, South Carolina when the woman went into labor on Sunday. Luckily there were medical personnel on board that assisted in delivering the baby on the plane. Once the plane landed in Charleston emergency crews were able to transport the parents and the baby to a hospital in the area. Officials stated that the flight was able to get back on track to Orlando once the parents and baby were taken off the plane. Philadelphia Police are now investigating after six people died from heroin overdoses in six different locations, most of them within blocks of each other in Kensington. All the incidents happened on Sunday evening, the latest reported at 8 pm. A 24-year-old man overdosed on the 3000 block of North Broad Street, a 42 and a 40-year-old man on the 3300 block of Kensington Avenue, a man in his 30s on the 600 block of East Indiana Avenue, a woman in her 30s on the 3300 block of Ambler Street, and a man in his 40s on the 2800 block of D Street. Police are investigating as there have been reports of a bad batch of heroin that may have been circulating around Philadelphia. The Eagles lost to the Bengals on Sunday 32-14. Today, Sunny with some clouds and a high of 51 degrees in Center City.